While every tour of Berlin will include a great deal of the city’s Nazi past, you may be interested in focusing completely on the history of the Third Reich for your tour. Adolf Hitler’s reign only lasted twelve years – from 1933 to 1945, but left such a devastating mark on Germany’s history, that it is impossible not to discuss this history while in Berlin. Every guide who does a Third Reich tour realizes how important this history is, and strives to explain how Hitler could come to power, how the Nazi policies destroyed the lives of all those he deemed as unworthy of life, and how he brought the world to war. While much of the physical evidence of the Nazi regime was destroyed either during or immediately after World War II, there are many traces of the Nazi past left in the city. Reichstag – The German Parliament, which was set on fire on February 27, 1933, resulting in Hitler taking control of the country, and then fought over during the Battle of Berlin, which ended WWII in Europe. Monument to the Roma &amp; Sinti – A recent monument erected to remember the 500,000 Roma and Sinti (Gypsies) who were murdered during the Holocaust. Soviet War Memorial – Erected just a few weeks after the war ended by the Soviets to remember their fallen comrades, this impressive monument honors the Russian fight against fascism. 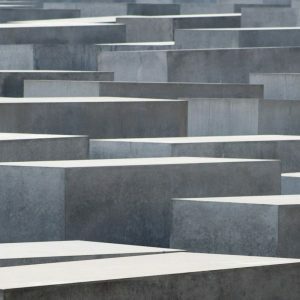 Memorial to the Murdered Jews of Europe – Finished after years of discussion in 2005, this huge monument in the center of Berlin remembers the 6 million Jews who were murdered by the Nazis in concentration and death camps around Europe. Site of Hitler’s Bunker – Even though it was destroyed in the 1980s, the site of Hitler’s bunker is an important stop on any Third Reich tour to discuss the last days of the Nazi regime and of Hitler’s life. Site of the New Reich Chancellery – Designed by Hitler’s favorite architect, Albert Speer, this was Hitler’s office, and even though it no longer exists, it is possible to imagine what it would have looked like with photos from the 1930s and 1940s. Site of Propaganda Ministry – The Propaganda Ministry, headed by Josef Goebbels, was influential in helping Hitler to control all forms of media, and therefore able to shape public opinion. Former Luftwaffe Headquarters – One of the few Nazi buildings left intact, the massive Air Force Ministry was led by Hermann Göring and used as an important government building under the East German Regime, and is now the Finance Ministry. Site of SS &amp; Gestapo Headquarters – The SS and Gestapo helped Hitler enact his reign of terror both in Germany and abroad, and on the site of these buildings is a powerful museum called the Topography of Terror. Depending on time and interest, there are many additional sites that a guide can show you, some of which are located a bit farther afield, such as the Olympic Stadium (site of the 1936 Summer Olympics), the Russian War Memorial in Treptower Park, and the Tempelhof Airport (re-built by the Nazis and used for the Berlin Airlift following World War II).